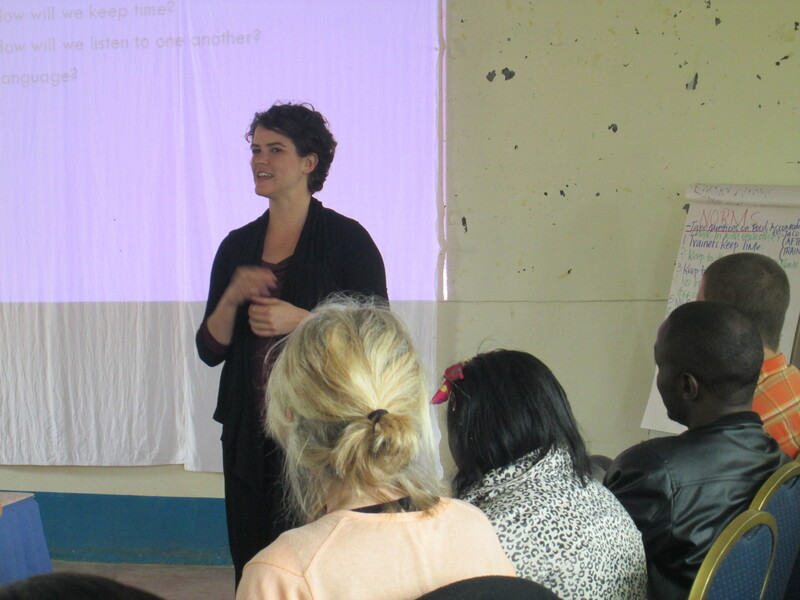 Natalie Finstad, a Co-Founder of Tatua Kenya shares her take in aid and mission. She not only has a vast experience in justice work but is also playing a vital role in ensuring more people are involved in the new way of doing mission- as she talks about in this post as well as teaching them how to do it. “Tatua Kenya began as a collective response to the way mission and aid were being done in the world. At its inception, I couldn’t point to exactly what was the problem but I did know a few things that bothered me. Mission was typically short-sighted and didn’t think through the long-term challenges. Mission didn’t engage local voices or honor their contribution. Overtime however, I began to become increasingly frustrated with the one-sided nature of mission, meaning that for the most part mission efforts were about the “other person” or “other country’ changing, not us. This association of mission likely comes from the church’s tendency to use mission to describe the work it does with the outside world. Churches send out groups on mission trips to heal the sick, feed the hungry, build houses for the poor or work at a local food bank. Participants sign up to “make a difference” or “help the less-fortunate.” However, after the fact, many participants on mission trips will often remark, “I thought I was going to help them but I realized that they helped me more. That trip changed me.” While this sentiment sounds nice, I have always doubted the weight of the words. How really were they helped by the poor people who received their new house? Was it in the welcoming they received or the view of a simpler life? If so, it appears, in most cases that the help they received didn’t go very far because few people who go on mission trips come back and change their lives – they might give a little more to the church or share about the plight of poor children in a faraway land but rarely do they make the sort of changes that could bring about a new kind of world, locally or globally. Natalie at the Tatua 2014 Global gathering. In the time I worked at Tatua I began to understand mission as a, by definition, two-sided change. Mission was the encounter with another which changed the way you saw yourself, saw the world and therefore, the way you lived. One example for me is coffee, before I went to Kenya I never really thought about fair-trade coffee products. I knew it existed but I assumed it to be a fad that would fade away in the near future. However, in Kenya I met people who grew coffee, I saw places coffee was grown and the conditions under which it was farmed. I visited homes of people who were, quite literally, breaking their back to grow coffee and living in poverty. This experience has motivated me to begin to talk to church’s about only serving fair-trade coffee at church, out of a commitment to really love our neighbor. .I don’t expect this will be easy, it will be hard enough for me to commit to spend the extra few dollars every time I buy coffee as an individual but we have to be willing to make changes that will actually lead to a just world. The mission of the church is not to fix the world, it’s to engage with the world in a way that leads to the emergence of a sacred way of life. This sacred way of life means that we honor all of us who inhabit the world, and that we are willing to change our everyday lives to honor one another. Mission isn’t a trip or a project or a theory – it’s a way of being every day. This type of life requires deep relationships and communities that support us in living differently. I believe the Christian Church has the power to nurture both those relationships and communities. Now that I’ve left Tatua Kenya I’m working with programs in the church to design and strengthen these type of communities and relationships. In doing so, I hope to see an expansion in the US of people that know what it means to engage with the world for the purpose of its and our own continual transformation.